For many women and men alike the hair truly is their crowning glory so when it starts to look unhealthy or even fall out this can cause a great deal of distress. The state of the scalp and hair is a great barometer of health. When the hair starts to suffer or the scalp shows signs of disorder this could be an indication of an underlying medical issue. Scalp problems could include things like itchiness, dandruff, oiliness, hair thinning or hair loss and it is often the extreme of these conditions that drives someone to make an appointment with their trichologist. A thorough examination of the hair and scalp can often determine what the problem is and in some cases could help to detect certain medical conditions. Wrong diet or wrong products? Following a detailed assessment of your diet, lifestyle, health history and products used we can then ascertain the problem and decide on a course of treatment. We find that in some cases clients can misunderstand what is going on with their scalp. For instance, people assume an itchy scalp is caused by dryness when in some cases it can be an excess of oil that is the issue. Sometimes an excessively oily scalp can indicate a bacterial infection – often the cause of hair loss or thinning. Stress can have an impact on your hair as much as on your general health. Tension in the scalp can mean the follicles don’t receive enough nutrients and this can affect the thickness of the hair. Sometimes it can simply be the case that you are using the wrong product on your hair or are mistreating the hair after washing. An example of this could be using an anti-dandruff shampoo when you don’t actually have dandruff, or using a shampoo for dry hair when your scalp is actually oily. Drying your hair by vigorously rubbing it instead of gently squeezing out excess water can cause damage too. 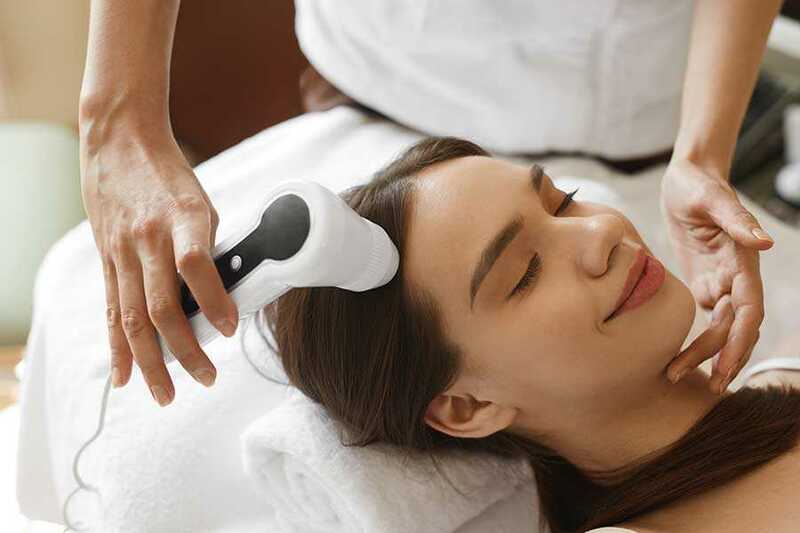 Rather than wait until the problem is so bad you are emotionally affected and your lifestyle curtailed the best thing to do is make an appointment with a professional trichologist at The Wimpole Clinic for a full assessment of the health of your scalp and hair. We can soon get to the bottom of what is causing your hair or scalp problem and will prescribe a course of treatment to restore your crowning glory to peak condition.